The Internet loves PADDINGTON. And for the last three years, one of your hosts has never understood this. Maybe with a rewatch or some enlightenment from his co-hosts, this will change. 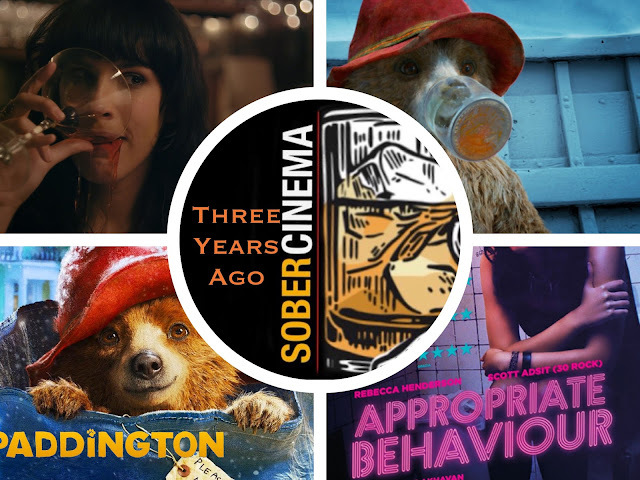 What is also not likely to change is our attempts to champion a forgotten film; this week's selection is APPROPRIATE BEHAVIOR, which opened in the U.S. on January 15, 2015 alongside the talking bear movie. Desiree Akhavan's Brooklyn based comedy on a bisexual Persian American woman's attempts to recover from a breakup and find her place. Though it is currently streaming on Amazon Prime, as you will find out... there is no stopping Paddington and his hard stare. He has taken control of the hearts and minds of Film Twitter and no Sundance darling can end this madness.